The best way to kick off the week is vodka, right? 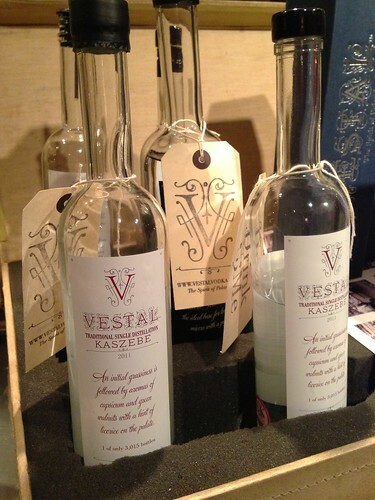 Well, that's exactly what I did when I attended an LCS event with Vestal Vodka. Coming out of Poland (with an Anglo-Kiwi twist), this vodka is different in many ways, although the focus is on it's single filtration, the "terroir" and age of its potatoes, and it's concept of small batch vintage. It has a pretty interesting (and initially not entirely pleasing) smell, but once you drink it, I picked up the strange nuances of apple and bubblegum, challenging but not displeasing. Over the night, I sampled the entire current Vestal range and emerged from the Vestal Vaults very much converted, only something an evening with the London Cocktail society can do. I'm not gonig to deny it, I have a bit of an obsession with ramen at the moment. 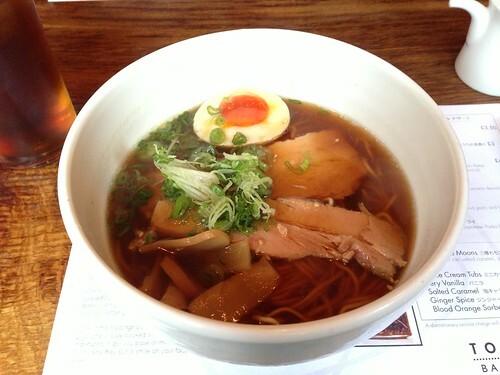 I've always loved noodle soup, and the latest influx of ramen restaurants has just fuelled this obsession. Bonedaddies is my current favourite, but after an initially disappointing outfit (to be fair, it was very early days), I thought I would give Tonkotsu another go for lunch. I'm glad I did as it was infinitely better. The tonkotsu broth was ridiculously rich (probably a little too porky for me), although my soy ramen had just the right balance. The chashu pork was plentiful and retained bite, packed with flavour. I can't help thinking that the whole bowl and experience was a little underwhelming though, lacking the fun and variety of Bonedaddies, but please don't misunderstand, this is in no way a bad ramen. It's just that my heart (and bowl) lies with another. I've never visited Bambuni in Nunhead before, crazy really as it is so close to where I live, but it was the venue for one in a series of Gran Luchito supperclubs. Being early for once, I wandered around the shop and was astounded with the cornucopia of delights on the shelves and in the fridge. As soon as the other guests arrived, we started to tuck into a range of Gran Luchito inspired dished by Tiffany of Kitchen Conversations. My personal favourite was the pork tamale, steamed corn husks containing tender pork. 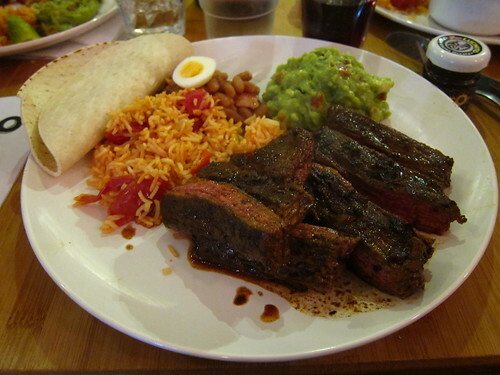 I loved the smoky Gran Luchito, and have an inclination that I may be spooning it on everything. Grabbing a few goodies off the shelves, I left vowing to return for some ham, cheese and a cup of coffee (which uses beans from local SE London supplier Volcano). More pictures of the night can be found HERE, and please visit the Gran Luchito website to find out more about their roving Supperclubs HERE. The end of the week took me deep into Dalston, probably one of the strangest neighbourhoods in the whole of London. On the way to Shanghai (restaurant, not city), I walked past men and women in suits, hipsters painting a wall advertising a tea shop with a vintage vibe and a scary old mans pub with groups of old drunk men by the door shouting indecipherable obscenities at each other. Shanghai itself is just as mental, a tatty looking pie and mash shop fronting, leading to a large, far more modern looking dining space out the back. The food was decent enough, with cracking aromatic duck and mediocre dumplings, but we all had a decent time chugging Tsingtao, playing coin eye spy and generally making lots of noise. So two out of two. Not looking too shabby so far.